In 2000, Matt Rose became the first baby boomer to head a major North American railroad. While attending the University of Missouri in the late 1970s, Matt Rose worked as a brakeman and switchman for the Missouri Pacific Railroad (MP) over the course of three summers. The Salina, Kansas, native didn’t seek that summer employment because his father worked in the transportation industry or he had a passion for railroading. There was a much simpler reason. “I needed a job,” Rose says. And it was a lucrative one — he earned a lot of money for tuition. So much so, he wanted to keep working for the railroad and not return to college. Rose shared that desire with Ed Handley, the general manager of MP’s Kansas City service area. Handley wasn’t pleased. He pulled an envelope out of his desk that contained a resignation letter Rose had signed. It stipulated that he was only employed at the railroad through August. “He said go back to college, then you can always come back here and be a brakeman,” Rose says. Rose heeded the advice, and gained a key learning experience as a result. He went on to earn a Bachelor of Science degree in marketing plus a minor in logistics, returned to MP as a management trainee, spent a short time in the trucking industry, worked his way up at Burlington Northern Railroad and eventually rose to BNSF Railway Co.’s top post by 2000 at the age of 41 — becoming the first baby boomer to head a major North American railroad. Rose realized the importance of involving others to make thorough decisions. He understood there’s a difference in being tough-minded, yet open to suggestions. And he recognized that to serve others — what became a lifelong goal — doing something self-serving wasn’t prudent. Rose then sought to dedicate himself to making a difference, not only for his chosen railroad employer, but for the rail industry. He ultimately focused on three C’s: collaborate, coordinate and contribute. It was a mindset Rose believes served him well throughout his more than 30-year railroad career, which will draw to a close in April. After he retires in April, Rose might become a private investor in the transportation or logistics sector. He also expects to remain involved at Berkshire Hathaway. Rose — who’ll turn 60 April 2 — is retiring. He will step down as BNSF’s executive chairman, a post he’s held for six-plus years after serving as the Class I’s chief executive officer for more than 13 years and chairman for 11. While leading BNSF — first as a publicly traded, Fortune 100 company, and then from 2010 on as a privately held Berkshire Hathaway Inc. subsidiary — Rose strived to employ many of the skills and knowledge he had developed or learned. For example, he relied on his marketing and operations experience, and his collaborative and collegial acumen to forge partnerships with truckers. He also worked with major retailers to grow intermodal business. And when the U.S. economy was soft at times — such as in 2006 — he led efforts to institute money-back service guarantees or rate discounts for shippers. He also pushed for technological change to garner efficiencies and higher capital investments to expand the Class I’s capacity. For Rose, the adoption of many emerging technologies is perhaps the prime example of major change in the rail industry that he had a hand in. Such change helped prevent derailments and boost safety, he believes. Positive train control (PTC) implementation was a huge technological development, one that offers promise to expand automation in the future if more devices and systems are employed in the locomotive cab, says Rose. Moreover, Rose helped address federal policies that impacted the rail industry, including measures that promoted automation, prevented heavier or longer trucks, and curtailed additional government oversight. He was an active board member of the Association of American Railroads (AAR), U.S. Chamber of Commerce, Business Roundtable, The Business Council and American Enterprise Institute for Public Policy Research, where he shared policy-shaping ideas and concerns. Early in his career, Rose met Benjamin Biaggini, Southern Pacific Railroad’s chairman from 1976 to 1982, who stressed the importance of lobbying. Rose aimed to mold himself into a rail advocate who not only understood the issues well, but could articulate them. BNSF learned the hard way what can happen in Washington, D.C., without a strong presence. In 2000, its planned merger with CN was dropped after the Surface Transportation Board instituted a merger freeze, then issued more stringent merger rules in large part because of the troublesome SP-Union Pacific marriage in 1996. Rose isn’t afraid to speak strongly about what he and BNSF believe in, Canadian Pacific President and CEO Keith Creel says. Creel got to know Rose over the past decade through mutual close friend E. Hunter Harrison, as well CN-BNSF business dealings and time spent together on the AAR’s board. Creel was EVP and COO at CN when Harrison was the CEO from 2003 to 2009. Rose aimed to stress internal objectives with the same vigor. That filters down to managing the core of your railroad, molding a strong leadership model and developing partnerships, Rose says. The model stipulates that executive talent needs to be recruited, developed, retained and rewarded. Rose prided himself on developing future leaders, realizing that when leadership is stronger, the company can get stronger, says Creel. 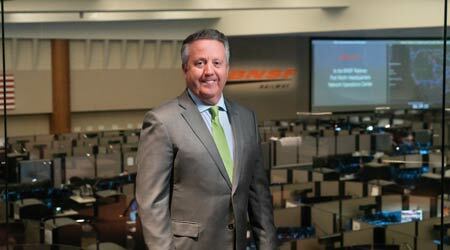 “He continually pushed BNSF to invest in leadership development,” Creel added. 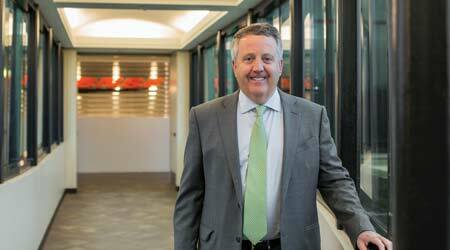 Rose has no regrets as to how BNSF’s core and senior leadership team evolved under his watch. In part, those efforts are why he received Progressive Railroading’s “Railroad Innovator Award” in 2010. Long before he became what admirers consider a shining beacon both for BNSF and the entire industry, Rose worked his way through MP’s management training program in the early 1980s and eventually became an assistant trainmaster. He worked for a time in Fort Worth, Texas. 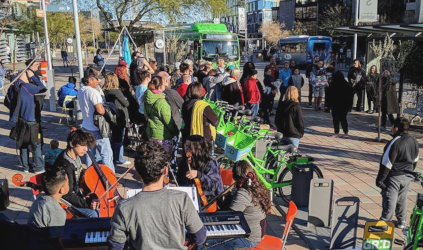 He then embarked on an eight-year career in the trucking industry that included stops at International Utilities, Schneider National Inc. and intermodal services provider Triple Crown Services, where he eventually was appointed VP of transportation. In 1993, he decided to explore an opportunity in Burlington Northern Railroad’s merchandise business unit and automotive marketing department, especially since his father-in-law was ill at the time and his family could return to Fort Worth. Rose became AVP of vehicles and machinery for BN, a railroad he expected to serve a long time, he says. But then BN and the Santa Fe Railway merged in 1995, and “people tend to leave after a merger,” says Rose. He quickly rose through the ranks at the combined Burlington Northern Santa Fe Railway, with stints as VP of chemicals, senior VP of the merchandise unit, and SVP and chief operations officer. He assumed responsibility for transportation, maintenance, quality control, purchasing, labor relations and information services. In 1998, then BNSF Chairman, President and CEO Robert Krebs approached Rose about being groomed to become the railroad’s next leader. Rose would be appointed COO, then president and then CEO, a process expected to take about three years. Krebs was intrigued by Rose’s varied experience in marketing and operations in both the rail and trucking industries. Plus, Rose was part of the computer generation and played a lead role in developing FreightWise, an online transportation exchange partly owned by BNSF, Krebs figured. Moreover, Krebs believed Rose was tough-minded and an optimist, decisive and thorough, and open and supportive. And on top of all that, he was young. CEOs used to remain in the top post 12 to 15 years, but now the average is about 5.5 years, says Rose. “So, it’s hard to put programs in place and get through [economic] cycles,” he says. Rose in part lasted long as CEO because he tried to recruit senior executive team members from outside the rail industry with different ideas. His recruits included Gloria Zamora, BNSF’s VP-human resources and medical from 2001 to 2004, who held executive posts at Coors Brewing Co. and Whirlpool Corp.; and John Lanigan, BNSF’s EVP and chief marketing officer from 2002 to 2012, who held executive roles at Schneider National and transportation planning and execution software firm Logistics.com. Rose needed all the help he could get to weather the weak economy in 2006. He and his team were able to continue growing traffic and revenue through the 2000s by investing capital in new facilities, acquiring more efficient rolling stock, winning back market share from trucks and using a new tool to better serve shippers: the internet. Finding ways to better match supply and demand for BNSF’s services helped generate more revenue. Rose was an innovative leader who always strived to develop technological solutions for today’s problems, says CP’s Creel. “The manner he led BNSF to lead in technology innovation to make our industry safer and more productive was second to none,” Creel says. Rose also helped the Class I weather another major event in 2009: Berkshire Hathaway’s acquisition of BNSF. 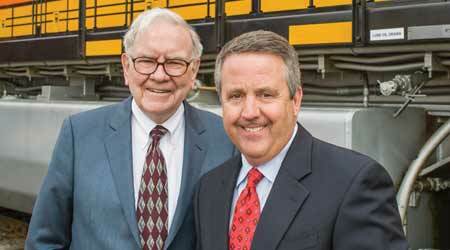 In 2010, Warren Buffett (left) and his Berkshire Hathaway acquired ownership of BNSF through a $44 billion stock deal. Berkshire leader Warren Buffett, already a BNSF investor, helped forge a deal in November 2009 to buy the remaining 77.4 percent of BNSF shares Berkshire didn’t already own for $100 per share in cash and stock, a deal valued at $44 billion. BNSF shareholders approved the deal in February 2010. Now that he’s about to step down, Rose finds it a bit surprising when he surveys today’s Class I leaders. As for retirement, Rose has no plans to hit a golf course every day. He expects to take some time to think about his next moves and analyze his potential opportunities. Whatever he can continue to contribute will be welcomed since Rose embodies the principle of giving back, Creel says. Rose says he is content with what he’s accomplished at the railroad. During his CEO tenure from 2000 to 2013, BNSF’s annual revenue grew from $9.2 billion to $22 billion, and annual carloads ballooned from 2.5 million to 10 million. 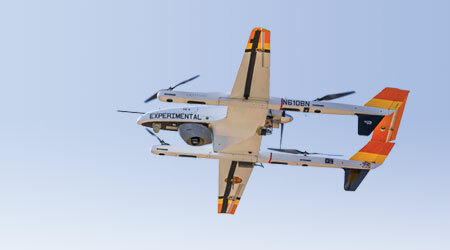 If anything, the company’s successes surpassed his expectations.